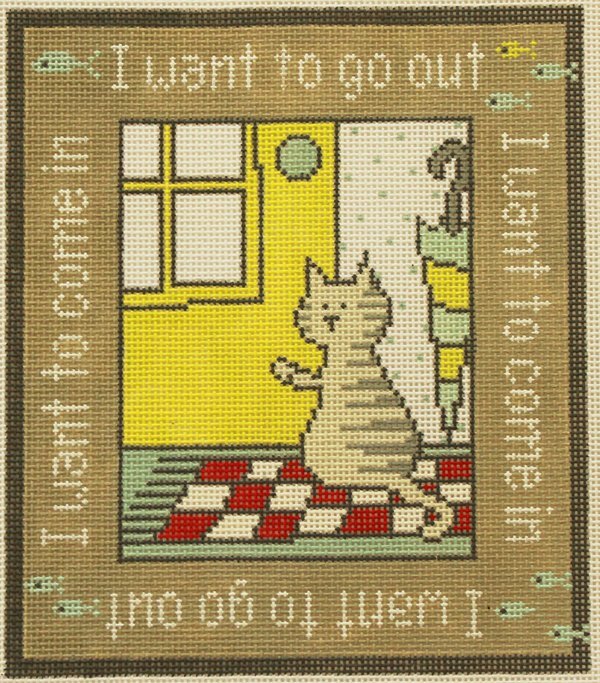 A whimsical cat needlepoint design from Pippin Studio. The design area measures 7.5 x 8.5". If you require stretcher bars we recommend a pair of 12" and a pair of 13" and some thumb tacks. This cat needlepoint design is usually in stock and ships in one week.